In his hilarious and award-winning novel Absurdistan, the American writer Gary Shteyngart tells the story of Misha Vainburg, son of the 1,238th richest man in Russia who flees Russia for the imaginary country of Absurdistan. Absurdistan is a post-socialist, cowboy-capitalist, ethnically divided oil kingdom somewhere on the shores of the Caspian Sea. The capital, Svani City, is an uproarious metropolis, desperately trying to mimic a western urban entrepot. And what defines western in these people’s eyes? Naturally, a McDonald’s, the twin Hyatt and Radisson hotel offering, a Banana Republic, a Gap and of course, a “Molly Malone’s” Irish pub. In terms of symbols of globalisation, the Irish pub is to the early 21st century what McDonald’s was to the late 20th. As it was in the 1990s with McDonald’s, today the opening of an Irish pub means a city has arrived. Once you see the Shamrock and Sky Sports combo over the latest Wild Rover or Kitty O’Shea’s, you know that the city is a fully paid up member of the global trading system, on the tourist trail or with a thriving ex-pat scene, or both. The Irish pub is a brilliant and easy to understand indicator of globalisation, openness to trade and the internationalisation of culture. While many at home are sniffy about the authenticity of these flat-pack, marketing-men versions of Ireland, for many remote cities, the arrival of the Irish pub is a sign of progress. Once, Irish pubs outside the island were limited to US and British cities, where large Irish communities sustained them. Today there are more than 6,400 members of the Irish Pubs Global Federation. The Irish pub is one of the fastest growing food and booze franchises in the world. Thomas Friedman, the New York Times’ Pulitzer Prize winner, posited the “McDonald’s Theory of Detente”, noting that no two countries with a McDonald’s had ever gone to war. For some years, I have advanced the idea of the “Irish pub index of globalisation”. It might not be the guarantor of global peace, but it is a pretty accurate indicator of openness. 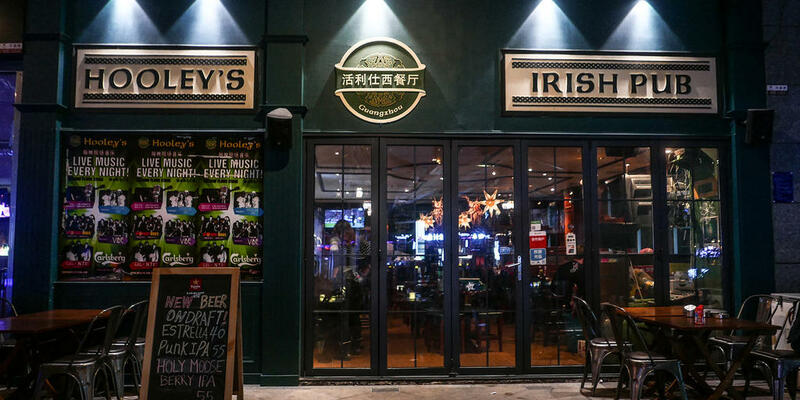 For Ireland, the marketing impact of these Irish pubs is unquantifiable, because they extend the Irish footprint all over the globe, allowing Ireland to project its brand far beyond this small island – a significant show of “soft power”. These days hard power – military or political heft, the type of power that the British navy once exercised – has been supplanted, or at least added to, by soft power: the power of the brand, the power of the imagination and persuasion. This gentle, creative power can persuade the world to see things on our terms, without having to resort to violence or coercion. The Irish pub helps enormously in projecting a positive, friendly image of Ireland all around the world. Check out the map. The shaded areas show the presence of Irish pubs around the world. The British used to say that the sun never set on the old British Empire. Today, the sun never sets on the new Irish empire. Someone, somewhere at all hours of the day and night is having a drink in an Irish pub, absorbing a soft image of Ireland, enhancing our national brand for conversation, hospitality, warmth and fun. You can’t put a price on the economic consequences of this. Quite apart from reinforcing a brand of Ireland all over the world, the growth in Irish pubs abroad coincided with the growth of the Irish economy at home. Both are functions of globalisation. We became more globalised internally as more capital and talent flowed into the country. In tandem we became much, much richer. Income growth in Ireland over the past two decades – when Irish pubs started to mushroom – has been twice as fast as many of our European neighbours. This obviously stands to reason, as small economies have always sought to trade because the domestic market is far too small to sustain decent living standards. Small countries need to transcend the limitations of geography. It is this umbilical link to globalisation and the fortunes of the global economic cycle that are most significant for Ireland because we are now less a national economy and more a cog in the global supply chain. 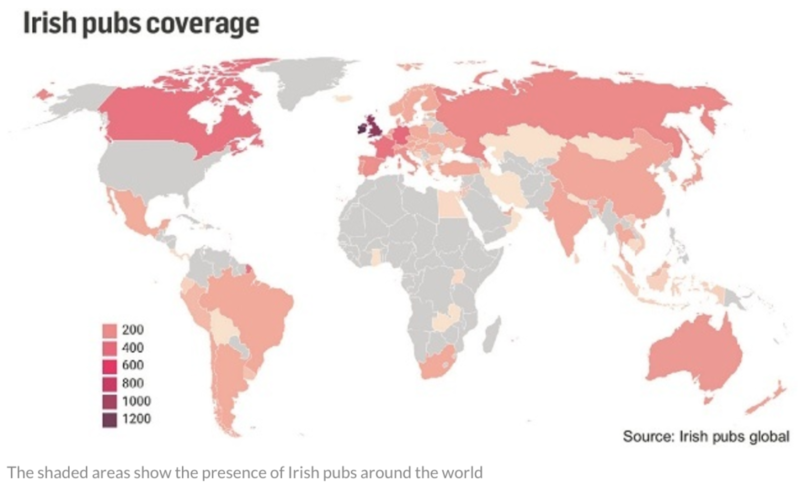 Due to global interdependence, events in far-flung countries (those places with lots of new Irish pubs) can have significant consequences for us back home. In recent weeks, financial markets are concerned that the global recovery from the 2008 crisis might be coming to an end. Alarm bells are ringing in places where ex-pats drink Guinness, such as the fictional Aburdistan. Commodity prices, the life-blood of some of these countries, have fallen because demand in heavily-indebted China is running out of steam. In turn, countries such as South Africa, Brazil, Argentina and Turkey, have all suffered slumps. As a result of globalisation, formerly poor countries (emerging markets) now constitute 40 per cent of global GDP. So, as they retrench, they impact on rich countries who sell them other stuff. Consequently, this week, German manufacturing reported the weakest demand since 2012. The prospect of an industrial recession in Europe’s engine has frightened financial markets all over the world, amplifying the downward loop. The first tremors of this global development will have been felt in a new Irish bar in some distant outpost. Not only are they symbols of globalisation, amplifiers of the Irish brand worldwide, but the mood in Irish pubs might also be one of the finest leading indicators of subsequent global economic earthquakes. If only you could bottle it.